Much has been written about climate change and viticulture. In fact John Gladstones in 2011 published Wine Terroir and Climate Change. 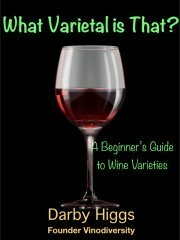 But the emphasis of that book and most of the other published commentary seems to focus on the effects of elevated average temperatures during ripening on wine quality, rather than the effects of heat stress on vines and berries during heat waves. 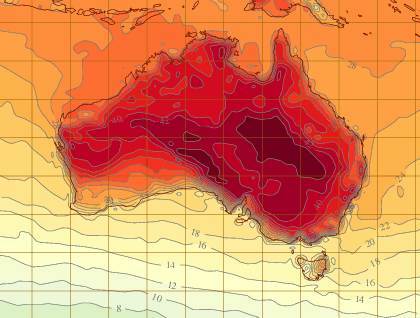 This paper by Leanne Webb of School of Agriculture and Food Systems, University of Melbourne and others and examines aspects of the effects of the heat wave in early 2009. The paper contains information about a many factors including varieties but there is little about how alternative varieties fared. Much of the information was obtained by a survey of grapegrowers across South Eastern Australia. 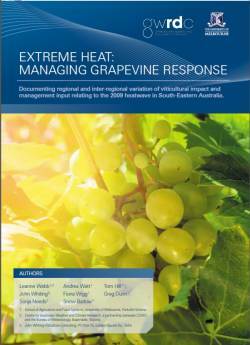 This paper by the GWRDC contains some basic information about vineyard management during a heat wave. But which of the new varieties do best in heat waves? 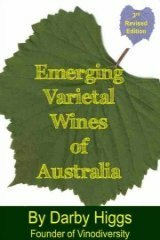 This page seeks to explore the experience of Australian viticulturalists with alternative varieties during the heat waves of early 2013 when temperatures above 40 degrees were experienced for several days in many Australian wine regions. This page is not meant to be a scientific study, rather a collection of anecdotes. I hope that by stimulating discussion someone may take this further with a more formal analysis. I am particularly interested in any information about alternative varieties. My interest in this issue was sparked by an email conversation with Mark Lloyd of Coriole in McLaren Vale who noted that Cabernet, Fiano and Nero d'Avola showed least signs of distress during recent heat waves. During the 2009 heat waves several growers reported Vermentino as being very resilient. Varietal selection is of course only one way that viticulturalists can respond to heat waves. There are many other factors involved such as trellis design and orientation. Below you will find a form to share your experience of the way different grape varieties respond to prolonged heat waves. Please include the name of your region. 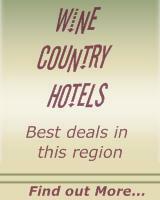 You may choose to include the name of your vineyard and/or winery as well. Briefly describe your vineyard in terms of aspect, soils type, row orientation, varieties planted, age of vines and any other factors which you think are relevant. Which varieties have fared the best? Which varieties have shown heat injury or other signs of grape spoilage? Grape varieties differ markedly in the timing of the development of the fruit during the course of the growing season. Thus some varieties may be just at verasion in January and February when heat waves are more common, while other early maturing varieties will be at harvesting stage. There are other characteristics of varieties that differ as well. Thickness of skin will effect the rate of dessication of berries and there are other biochemical characteristics relating to the conversion of acids into sugars that are heat dependent and are different for every grape variety. Please use the form below share your experience. Tell us about which varieties stand up best during heat waves in your vineyard. Tell us where you are and the varieties planted.